Volunteers desperately needed to assist with UCS Millage Renewal! Help! 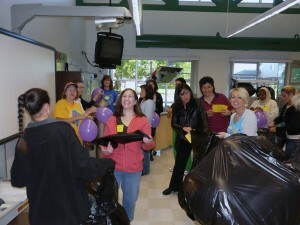 Volunteers desperately needed to assist with UCS Millage Renewal! Volunteer opportunities are available for two separate activities. 1) One is a group of 5 who will help this Friday, Oct 31st from 11:00am-1:00 calling identified favorable voters reminding them of the election on November 4th. The phone bank will be at the Citizens’ Committee Office – 12900 Hall Road, Suite #250. 2) The other activity will be precinct volunteers who will distribute information to voters d…uring two time slots on election day at Bemis. The volunteer shifts are from 7:00-9:00am and from 3:30-7:00pm. Volunteers do NOT have to stay for the entire time, we can split the shifts, but it is desired to have 3 people at Bemis during the time slots. As always, your support is greatly appreciated! Please share with other parents who may be able to help. Vouchers and wristband will be sent home in your child’s backpack one or two days after form and payment are received. We’re back to School…. Let’s Celebrate! It’s hard to believe our children are leaving Browning Elementary! It seems like yesterday we were so excited for them to start Elementary. Each year a Memory Book is created with the help of all the parents. It is also funded by Browning PTA. I have volunteered to be the chair person this year with the assistance of PTA members and parents. To keep things organized I have created an email account and Shutterfly account specifically for the Browning 6th Grade Memory book. PLEASE CHECK YOUR CHILD’S BACKPACK FOR INFO REGARDING UPLOADING PICTURES. Or send an email to [email protected] and details will be sent to you directly. If we do not receive any images of your child he/she will not make some of the pages in the Memory book. If you are not able upload digital images to the site they can be scanned. Please email me at [email protected]. We would like to make this book very special so we need all of the Browning 6th Grade Parents support. What we need are pictures of your sixth graders. EVERYONE WINS WITH ENTERTAINMENT BOOK FUNDRAISER! Parents save money & our school raised much needed funds (>$6,000) for PTA sponsored projects like off-site learning opportunities! Entertainment Book proceeds account for 20% of PTA income so your support is greatly needed & appreciated! Top selling students are eligible for great prizes! The 2012 Entertainment book will be sent home with your child the 1st week of school. More info to follow…….. Many thanks to Sue Medina & Dawn Neubacher for co-chairing this profitable fundraiser! Questions? Please email them at [email protected] or [email protected] . Please re-enroll to continue earning money for Browning Elementary in the Kroger Community Rewards Program. All participants must sign up for the program in order to earn funds for our group during 2012-2013. Even those of you who signed up for Kroger Community Rewards earlier this year must re-enroll to continue earning rewards during the coming year, 05/2012 to 05/2013. It’s easy for you to enroll or re-enroll in Kroger Community Rewards. Please visithttp://www.kroger.com/mykroger/018/community/Pages/community_rewards.aspx, click on “Michigan” and click on “Enroll” to register for the first time and “Re-enroll” to re-register. All participants must have a valid online account at Kroger.com and must sign up online to participate. You can no longer scan our group’s barcode at the registers or service desk to re-enroll. Who knew FUNraising could be so much fun?! WOW! 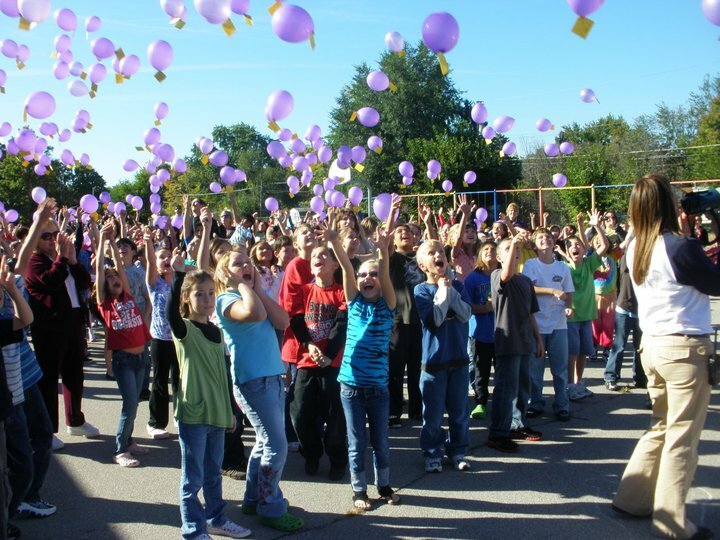 For the fifth year in a row, we have been blessed with perfect weather for our Balloon Launch. With clear skies and mild winds, our balloons ascended high into the sky and drifted south east. It will be interesting to see where they go this year. We had fun setting them free and look forward to tracking them as they are returned. Thus far, we’ve had at least 22 sent back to school. Hooray! THANK YOU to all the families who contributed in some way – every donation helps! Due to your generosity, we’ve raised over $6,500 with this direct donation fundraiser! We greatly appreciate your support! Prizes were distributed at a school wide assembly on Friday, Jan. 14th. Every child in attendance should have received a reward of some sort. Congratulations to the Majlick Family for winning the Grand Prize drawing for the Family Getaway to Kalahari Resort! Hope they have a great time! Jason Collins returned a card from Zoar Ohio, nearly 250 miles from Browning Elementary. Thanks to everyone who came to our 1st “Back to School Family Picnic” on Thursday, Sept. 9th from 5:30-7:30pm. Approximately 80 people enjoyed music provided by DJ Tony Tocco (we had some awesome dancers), facepainting, &/or running around the playground with friends! We greatly appreciate Chris Washeleski organizing this family fun event. Please print and bring this flyer… Blake’s will donate 10% of all admissions & purchases to Browning PTA!! Many thanks to Roni Sorgi for coordinating this family fun event! This year the PTA theme is Reader are Leaders.